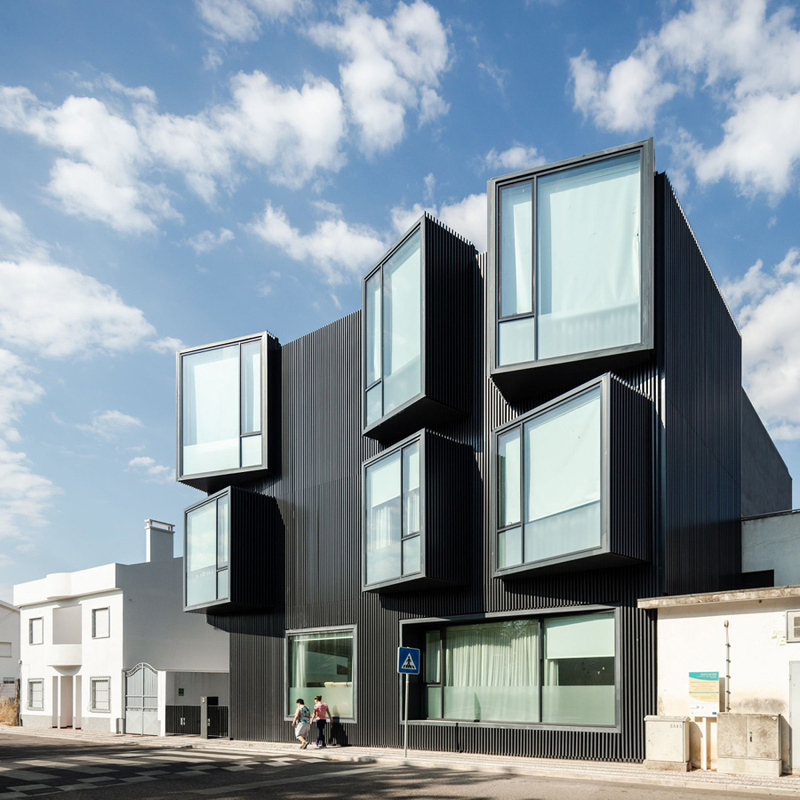 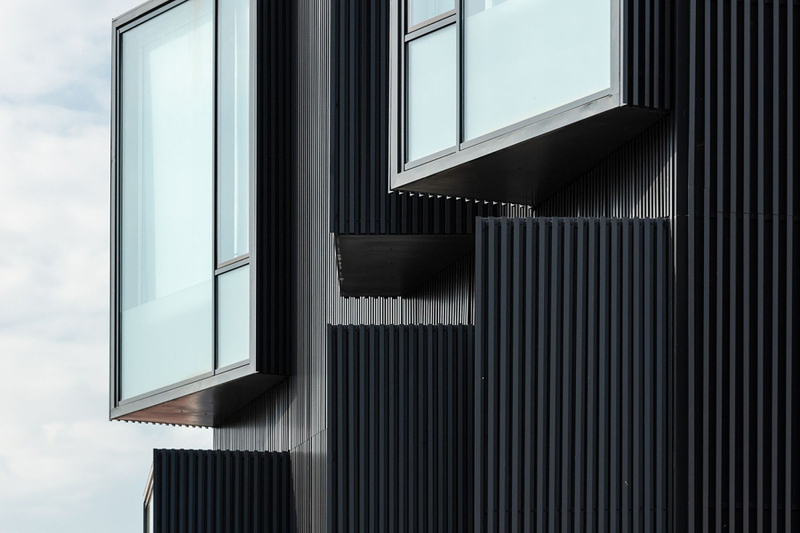 Architecture firm Nuno Piedade Alexandre has designed an extension of a health care residence for elderly people in Ponte de Sor, Portugal, and as part of the design, protruding windows were added to the facade. 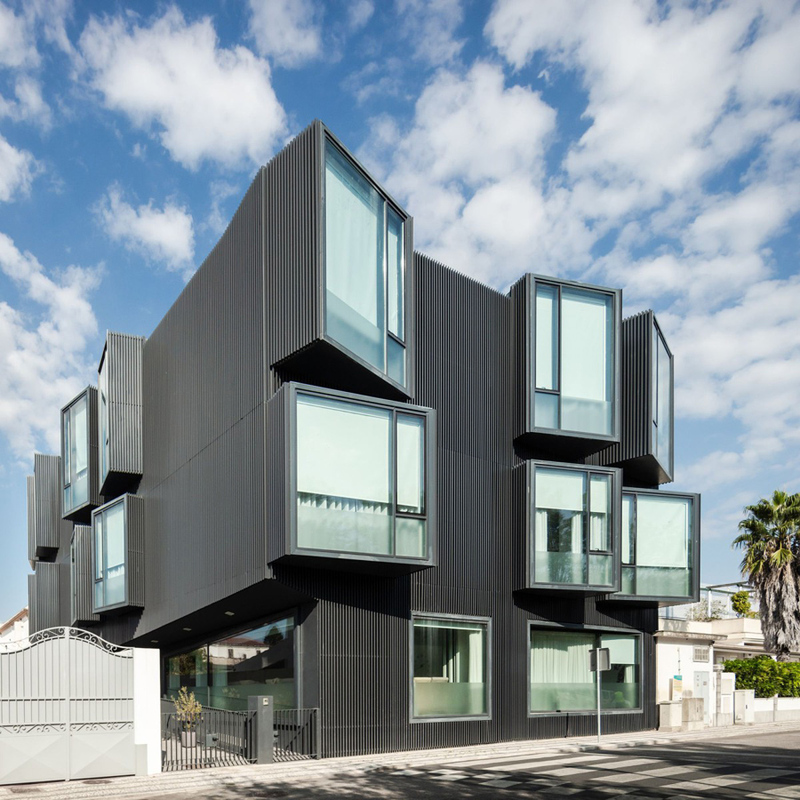 The building, which houses 10 double rooms and 4 individual rooms all with their own private facilities, has a variety of volumes that project the rooms and their windows outward on angles, distorting the facade, creating additional interior space, and allowing natural light to fill the rooms. 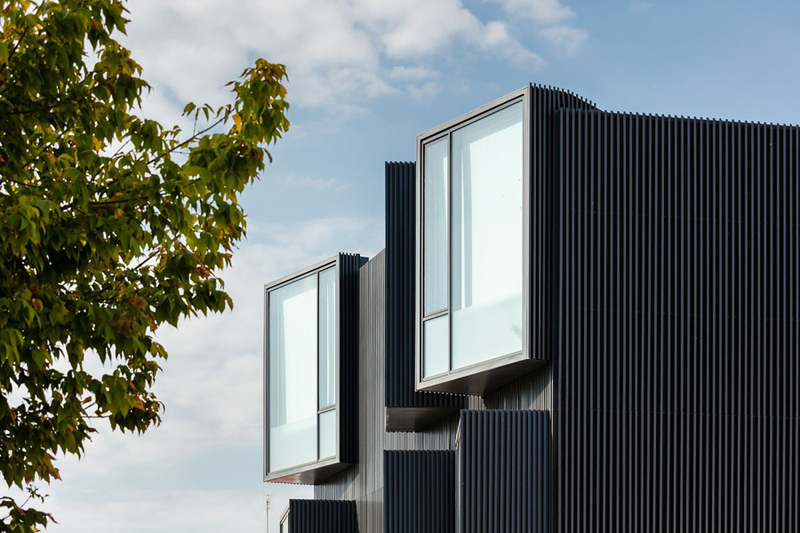 Also we would recommend you to check 15 creative modern wooden houses.